Lam Khlong Ngu National Park covers an area of about 145,000 acres. On both southern and eastern sides of this park connects with the area of Srinakarin National Park. The highest mountain in the area is approximately 1100 meters high above the sea level. Most of this national park area is mixed between mountain and plain land with fertile forest complex. 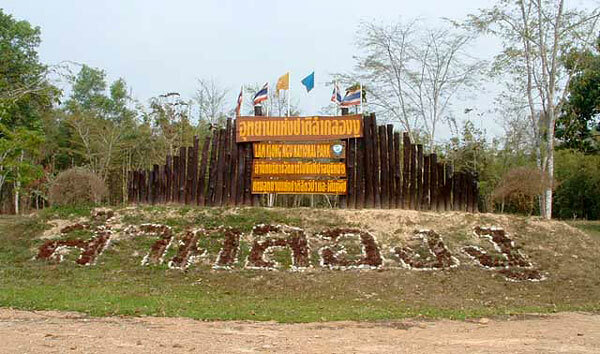 On its northern side, it is the location of Thung Yai Naresuan Wildlife Sanctuary. On the western side, Khao Laem National Park is situated. 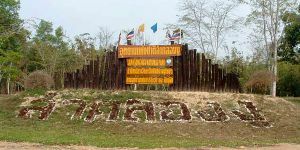 Because of surrounded by national parks, Lam Khlong Ngu National Park is a great area for recreation and discovering nature. The climate here is similar to other parts of Thailand. Due to southern and Andaman sea winds, this area can be separated into 3 seasons – summer, rain season, and winter season. However, the winter is not as cold as the winter season in many other countries, especially the western ones. 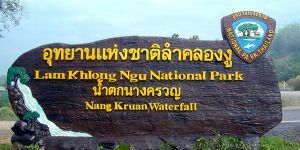 Lam Khlong Ngu National Park is situated in Thong Pha Phum district. Unfortunately, there is no public bus for visitors to go to this park. Then, visitors will have to rent a car to be there or visit this place by an interesting offer from a tourist agency.